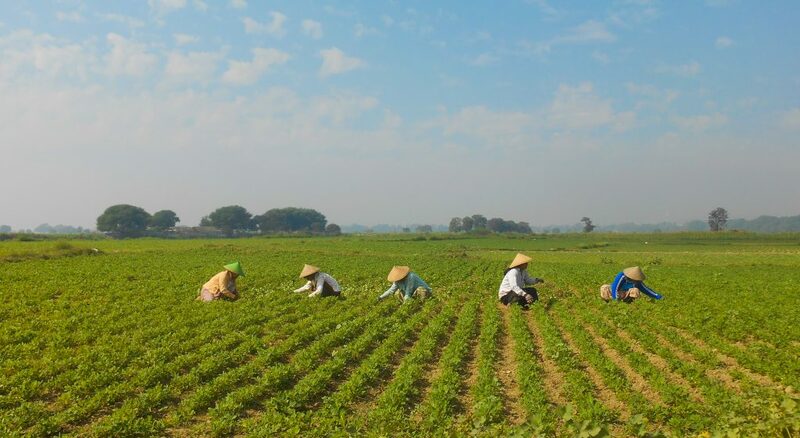 With this week’s headline-grabbing report from the Intergovernmental Panel on Climate Change (IPCC), it is clear that the consequences of a world just 1.5ºC warmer than pre-industrial levels could have a drastic impact on global food security. After decades of progress made towards reducing global hunger, last year saw hunger levels increase for the third year in a row. Why is this happening? September’s release of the 2018 State of Food Security in the World confirmed that this upward trend was due to two key factors: conflict and climate change. On October 9, Global Washington hosted a dialogue with a panel of experts and practitioners who are leading efforts around the world to improve food security and address climate change. The panel included Chris Jochnick, CEO, Landesa; Chris Shore, Chief Development Officer, Economic Empowerment, World Vision USA; and Juan Echanove, Senior Director for Food and Nutrition Security, CARE. The dialogue was moderated by Gabrielle Fitzgerald, Founder and CEO, Panorama. Reflecting on experiences from their work across the world, panelists identified that the majority of people who are at risk of going hungry are also among those most vulnerable to climate change. One thing they have in common – they’re small-scale farmers. “The majority of world’s poor share three traits – they’re rural, they depend on land [for their livelihoods], and they don’t have secure title to that land,” said Scott Jochnick from Landesa. The twisted irony of being a food producer who is likely to go hungry is due to a wide range of issues. Many of these small-scale farmers work on marginal land with poor soil quality or steep slopes, and don’t have access to financial services such as appropriate loans or crop insurance. Moderator Gabrielle Fitzgerald reflected on the content of IPCC’s report, highlighting that the future of food security would be threatened by extreme droughts, wildfires, floods, and food shortages for hundreds of millions of people. With the present challenges of food insecurity and climate change poised to increase in the coming years, the panelists shared successful strategies to not only reduce hunger in a changing climate, but also strengthen communities and their ability to withstand shocks in the future. To start, smart investments focus on women. “Empowering women and building their agency is not just a matter of principle and social justice. It is also essential to improving agricultural systems,” said Juan Echanove from CARE. “If women had equal access to agricultural resources like land and training, the number of hungry people could be reduced globally by 150 million,” citing a study from the Food and Agriculture Organization of the United Nations. Women tend to be “better stewards of the land” and more likely to practice climate-smart farming techniques such as agroforestry and biodiversity, added Chris Jochnick from Landesa. Improving access and rights for women would allow them and their families to be more resilient to climate change impacts. Land access and ownership was a second prominent theme. Improving land access and ownership goes hand-in-hand with the principles of local agency and ownership highlighted by all panelists. “Farmers that feel secure about their land rights are more likely to plant trees instead of short-term crops, adopt climate-smart approaches to agriculture, and focus on soil conservation,” said Chris Jochnick. 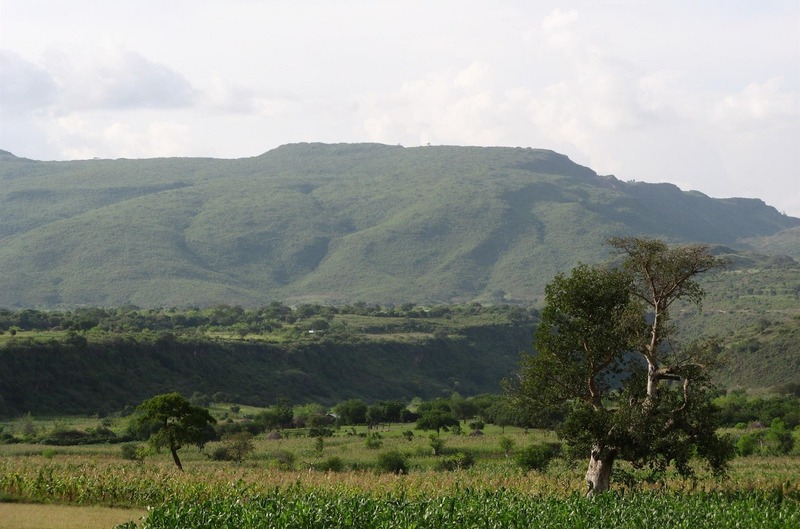 To illustrate the dramatic changes possible through land ownership, Chris Shore from World Vision shared two photos of a hillside in Ethiopia. The arid landscape of the first photo contrasted starkly with the lush vegetation of the very same hillside in the second photo. The difference? 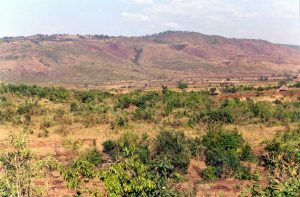 A process of “Farmer Managed Natural Regeneration” where land ownership allowed farming communities to protect the forest, allowing it to gradually regrow instead of clear-cutting the trees for charcoal. 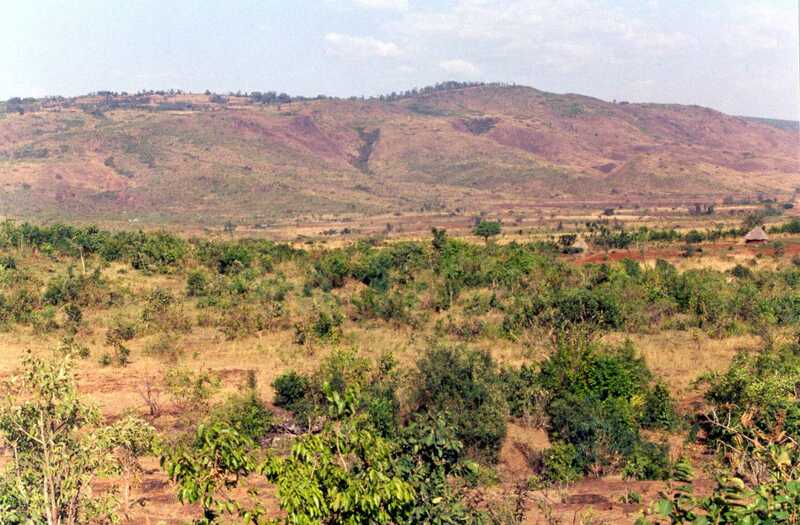 Denuded hillside in Humbo, Ethiopia, 2000. Photo: World Vision. Lush, regrown hillside in Humbo, Ethiopia, 2007. Photo: World Vision. “The most resilient ecosystem is the most intact one,” concluded Chris Shore. With World Food Day approaching on October 16, we are once again reminded that the relationship between our environment and the food we eat can be a precarious one. It is clear that the harmful consequences of climate change are the greatest threat to those who are already the most vulnerable in our societies. As the impact of climate change intensifies, it is critical for our collective response to include support for those who will be on the frontlines of climate change for years to come. Jared Klassen has worked on global food security for the past decade, supporting and building coalitions for effective policy change. Previously, Jared worked for the Canadian Foodgrains Bank, Mennonite Central Committee, and a number of coalitions of international charities. Jared’s overseas experience has focused on agriculture and food security, community-based health programs, and local business development in places such as Southern Africa, India, and Latin America.